April 9, 2018 — Workshop proposal submission deadline. April 30, 2018 — Workshop acceptance notification. May 9, 2018 (extended to May 13 for abstracts, May 20 for final versions) — Full paper & short paper submission deadline. June 19, 2018 — Notification of acceptance. July 24, 2018 — Camera-ready version. July 24, 2018 — Early-bird and cut-off registration. September 10, 2018 — Late registration. September 25, 2018 — Workshop day. September 26-28, 2018 — Main conference dates. All the deadlines are at 23:59:59 Hawaii Time. We are delighted to welcome the 10th International Conference on Social Informatics (SocInfo 2018) to St.Petersburg, Russia, On September 25–28, 2018. The International Conference on Social Informatics (SocInfo18) is an interdisciplinary venue that brings together researchers from the computational and social sciences interested in joint research of socio-technical phenomena. The goal of the conference is to provide a forum to help scholars from the two disciplines define common research objectives and explore methodologies. The organizers welcome a broad range of contributions, from those that apply methods from the social sciences to the study of socio-technical systems, to the application of computational methods to the study of complex social processes and the use of social concepts in the design of information systems. SocInfo18 offers an opportunity for the dissemination of knowledge between the two communities by soliciting presentations of original research papers and experience-based case studies in computer science, sociology, psychology, political science, public health, media & communication studies, economics, linguistics, artificial intelligence, social network analysis, and other disciplines that can shed light on the open questions in the growing field of computational social science. SocInfo18 will also offer workshops and keynote talks that will be tailored to enhance the collaboration between the two research cultures in an era when social interactions are ubiquitous and span offline, online and augmented reality worlds. Submissions will be reviewed through a double-blind review process. To ensure a thorough and fair review process, this year’s conference will apply strict review guidelines to provide even higher-quality feedback to authors. To further incentivize useful and detailed feedback to authors, contributions of best reviewers will be rewarded with special mentions. 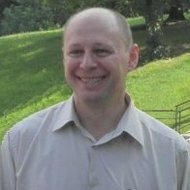 As in previous years, accepted papers will appear in Springer’s Lecture Note Series in Computer Science. We will also allow accepted papers to be presented without publication in the conference proceedings, if the authors choose to do so. Some of the full paper submissions may be accepted as short papers after review by the Programme Committee. A small set of particularly high quality and important papers will be selected for journal publication. Original manuscripts should be submitted in English in pdf format through EasyChair. The submission deadline is May 9 (extended to May 13 for abstracts, May 20 for final versions, 24:00 Hawaii time). Notification of acceptance: June 19, 2018. Camera ready: July 24, 2018 (at least one paper author should register by that time for the paper to be published). Because SocInfo will publish proceedings, manuscripts should be formatted according to Springer LNCS paper formatting guidelines. Best Paper Award from Springer! Springer sponsor SocInfo 2018 by providing an amount of €1,000 to be put behind a SocInfo 2018 Best Paper Award. The SocInfo’18 Committee invites proposals for the Workshops Day of the conference. All workshops will be held on Tuesday, September 25, 2018, at 123 Kanal Griboyedova Emb, St. Petersburg (which is not the venue of the main conference). The preferred formats are group discussions and practical tutorials. A tutorial should provide either an in-depth look at an emerging technique or software package or a broad summary of an important direction in the field of social informatics, preferably with a practical training. A group discussion should provide an opportunity to informally discuss issues with a selected focus, especially conceptual, methodological or practical difficulties of social informatics, as opposed to presenting final results. Workshops should not be structured as mini-conferences dominated by long talks and short discussions. Instead, the organizers are encouraged to promote different types of activities including games and brainstorming sessions. All workshops should be interactive and involve between 15 and 40 members. Finally, the workshops should have the potential to attract the interest of researchers in computer science and social sciences, and possibly of developers and practitioners. The workshop chairs will review each submission and select those with the highest scores on originality, interdisciplinarity, coherence with the conference aims, and ability to attract audience. The names, affiliations and contact information of the organizers. A typical workshop should count no more than three co-chairs, preferably affiliated with different organizations. Proposed duration of the workshop – half or full day (3-4 hours or 6-7 hours). A statement detailing: Why is the workshop topic important? Why is the workshop timely? How is it relevant to social informatics? If the workshop was conducted before, where and when was it conducted? Please give details on number of attendees and acceptance ratio (if applicable). A description of the workshop format and list of proposed activities. An indication of the maximum number of participants and a description of how workshop submissions will be selected: by the time of registration, by some predefined criteria or else. 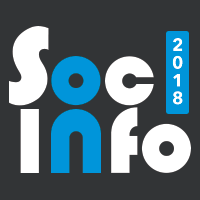 SocInfo’18 offers two main opportunities for publication: a volume of conference proceedings in Springer’s Lecture Note Series in Computer Science (as in previous years), and the Journal of Web Science special issue on social informatics (NEW!). Authors are also free to choose a non-publication track, although this will not influence the review criteria. Camera ready version submission deadline: July 24, 2018. Those aiming at LNCS should follow Springer’s author formatting guidelines. JoWS is a young, peer reviewed, open access scholarly journal with an outstanding editorial board. Special issue will accept the papers that will have been either published in LNCS proceedings or presented orally as full papers at SocInfo’18. Authors of papers published in LNCS will have to add at least 30% of new material (data and/or analysis). All papers are expected to have been revised according to the conference reviewers’ comments, but all will go through the double-blind review process again. As JoWS is an online journal, papers may be published in two sets: those that do not need major revision – in April 2019, and those that do – later in 2019. Page limit: 14 double column pages, 10-point type, single-spaced, or 30 single column pages, 12-point type, double-spaced. Follow author guidelines. 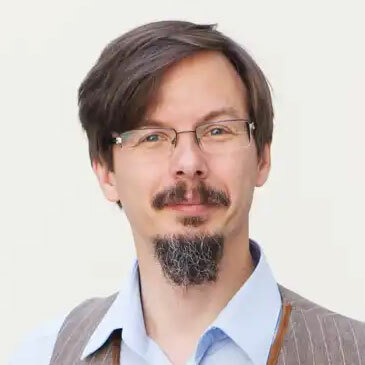 Ingmar Weber is research director of the Social Computing Group at Qatar Computing Research Institute. His interdisciplinary research looks at what online user-generated data can tell us about the offline world and society at large. He works with sociologists, political scientists, demographers and medical professionals and several of his projects have been covered by international media. 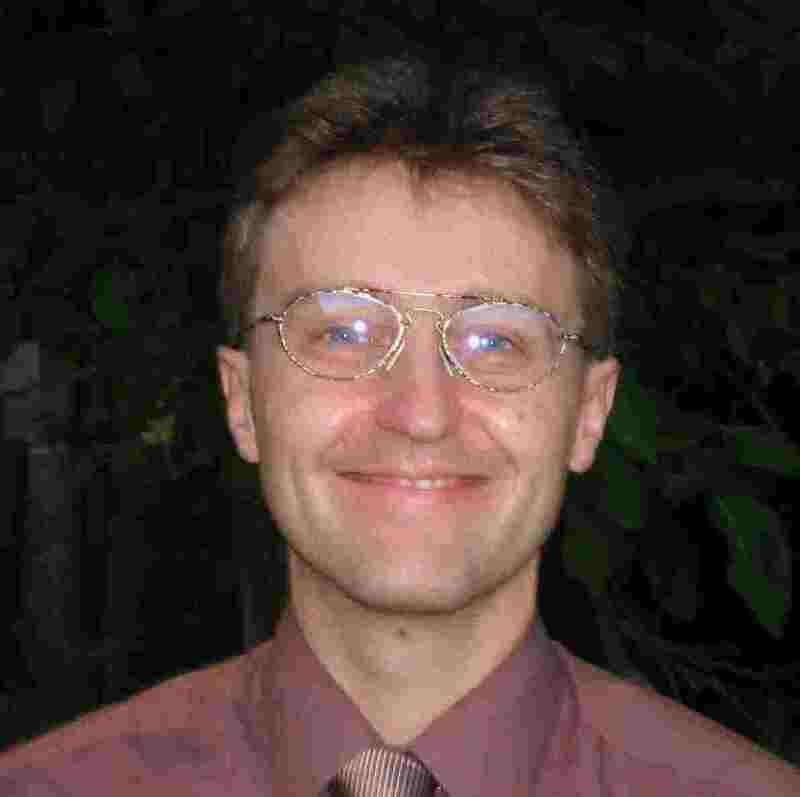 Prior to joining QCRI, Ingmar Weber was a researcher at Yahoo! Research Barcelona. He holds a BA & Ma from Cambridge and did his PhD at the Max-Planck Institute for Computer Science. 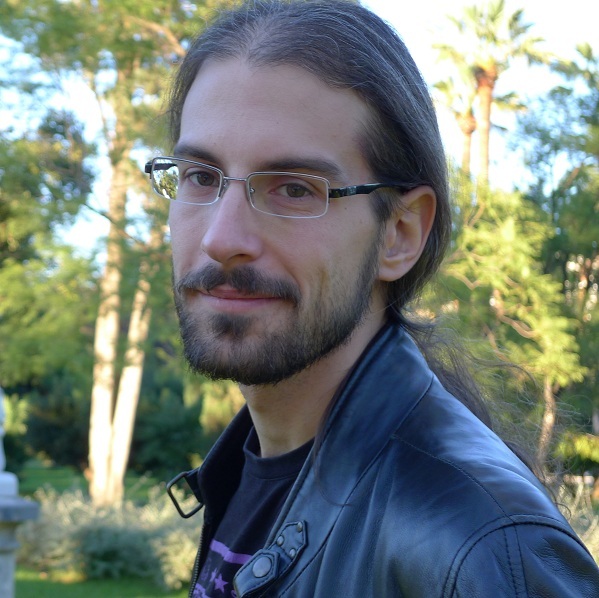 He is one of ACM’s Distinguished Speakers and his keynote is financially supported by ACM. Is algorithmic news a blessing or a curse? Jonathan Zhou is Chair Professor of Computational Social Science and Director of Center for Communication Research and Web Mining Lab at City university of Hong Kong. 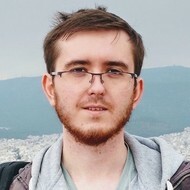 His current research projects focus on how to use computational methods to mine and model time-bound user behavior on social and mobile media. He teaches new media theory (diffusion, use, and impact), quantitative methods (survey, experiment, content analysis, text mining, and network analysis), and new technologies (web, databases, and big data analytics). Harith Alani is a professor at the Knowledge Media institute, The Open University, where he leads a group specialising in social data analysis and web science research. His work is focused on analysing social media content and networks to detect, monitor, and predict online information and behaviour. 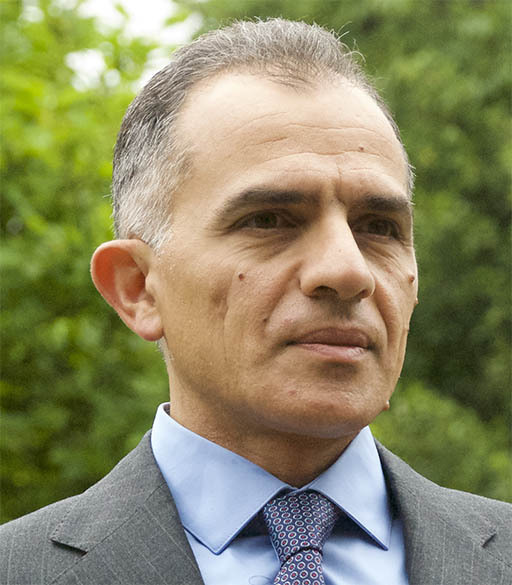 Prof Alani is the co-ordinator of COMRADES (2016-2019); a €2M European H2020 project to research and develop a collaborative platform for supporting communities during crises, which incorporates automated methods for processing and linking of crowdsourced information and for safeguarding communities during critical scenarios from uninformative, distrusted, and fragmented information posted about the crises on social media. Prof Alani published over 140 scientific papers in various leading journals and conferences, and recently was research track co-chair at The Web Conference (WWW 2017) and at the Extended Semantic Web Conference (ESWC 2017). 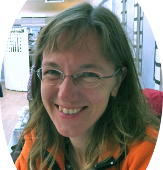 Bettina Berendt is a professor in the research group “Declarative Languages and Artificial Intelligence” (DTAI) at the Department of Computer Science of KU Leuven. 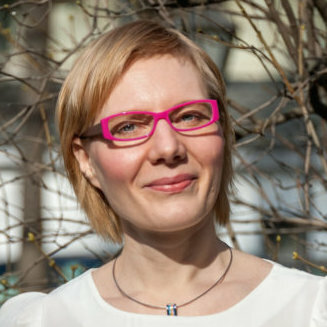 Her research focuses on Web Mining and its uses and implications. Methodologically, she combines aspects of Web content, Web usage and Web structure mining with methods from the social and behavioural sciences relevant to the respective research questions and applications. The Web materials and platforms include Social Media such as microblogging or social networking sites, as well as (mainstream or other) news sites and the relation between these various channels of information. Research questions include privacy, the public and the private and the role of media in them, information literacy, and how data mining can be developed and deployed in a user-centric fashion for user empowerment in these areas. 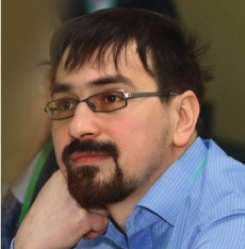 Alexander Boukhanovsky is the Director of School of Translational Information Technologies and the Head of Department of High Performance Computing at ITMO university, St.Petersburg. He is also the Chief Research Associate at the ITMO EScience Institute – a center for computationally intensive interdisciplinary research in a large number of areas, from social to natural science. 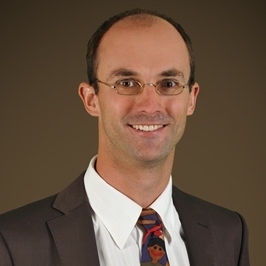 His research interests range from high-performance and parallel computing to decision support & early warning systems, computational social science & human physiology modeling. 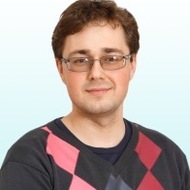 Head of the crowdsourcing platform Yandex.Toloka and of the Expert evaluation department. 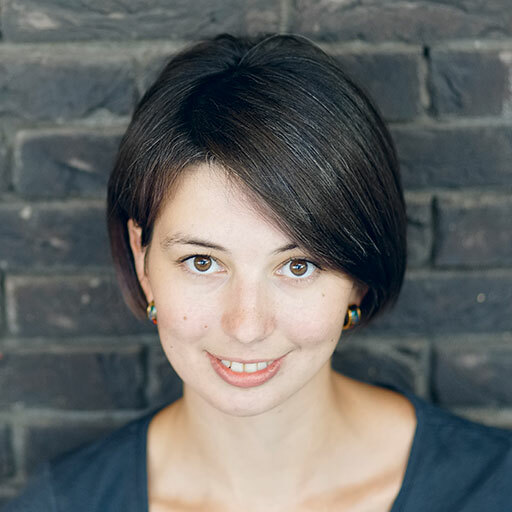 In Yandex, she is responsible for training data collection in all machine learning projects, as well as for mass infrastructure services development: technical support, SMM, call centers, translations, manual crowd testing and others. 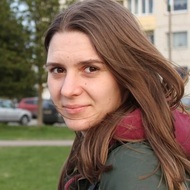 She will talk about how Yandex employs crowdsourcing, about the basic principles of building production pipelines, and also about the research and mathematical tasks lying at the heart of work with crowds. You can add this calendar to your Google account to recieve notifications on programme updates and have this programme on mobile devices. Use this link to share the programme. Multiplex networks are one of the most popular network analysis models that have been a common meeting point for computer scientists, physicists and sociologists thanks to their ability to provide richer, more qualitative information than simple graphs but still allow quantitative processing. The workshop will provide a practical introduction to multiplex network analysis using R. It will consist of very brief theoretical presentations of major concepts followed by practical tasks. Topic modeling is one of the few algorithms capable to work with large textual data bringing together scholars from fields of social and computer sciences. However, practical applications of the algorithm are hindered by rarely discussed inherent limitations of topic models and the requirement of programming skills. In this workshop, we will address the specifics of using topic modeling in sociology, discuss mathematical limitations behind the method and introduce new TopicMiner and WebTopicMiner software. The proposed approach is designed to be inclusive of participants with no programming background bridging together communities from social and computer sciences. topic modeling with TopicMiner and WebTopicMiner. This course introduces participants to the collection and analysis of socially-generated big data using the R statistical software. The main emphasis is on applying social network analysis and quantitative text analysis to web data (especially social media). Data will be collected using the vosonSML R package (currently it collects YouTube video comment data, Facebook fan page data, and Twitter data). The course includes basic social network analysis in R/igraph (graph visualisation, core node- and network-level metrics, network clustering, constructing two-mode networks) and basic text analysis (building a corpus, descriptive analysis, wordclouds). The course will appeal to social scientists who want to become more computationally literate, and those from technical disciplines (e.g. computer science, information science) who would like to learn how social scientists are analysing digital trace data from the web. The target audience for this course is research students, academics and researchers with a fairly strong technical background. It is preferable that students have had some exposure to social network analysis and quantitative text analysis. Experience with R or other programming languages is also desirable, but the course includes a brief R and RStudio refresher. It will be assumed that participants already have a recent version of R and RStudio installed on their laptops. The starting point for this discussion is the recent scandal with Cambridge Analytica – a	company that allegedly influenced the US presidential elections by manipulating Facebook users’ personal data. This data is said to have been leaked to Cambridge Analytica by Alexander Kogan, a researcher working at the core of the global academe – the university of Cambridge – and allegedly having ties with Russia. This breach has eventually resulted in closure of many Facebook data access opportunities for researchers worldwide. A panel of competent discussants, including representatives of both the academe and the data industry, will touch different aspects of the problem and possible solutions. The panelists will discuss whether it is possible to simultaneously protect individual privacy, provide enough data for public interest research, ensure opportunities for data related business and exclude opinion manipulation. Prior to the discussion, you can find more information on the scandal in the statements of Mark Zuckerberg, Alexander Kogan, Cambridge Analytica and the university of Cambridge. Senior lecturer in psychology, St.Petersburg University. 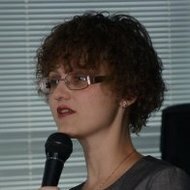 Dr. Ledovaya has been recently working as a researcher and acting PI in the research project on prediction of psychological traits with Facebook data that has attracted international media attention amidst the Cambridge Analytica scandal as an alleged “link” of Alexander Kogan to Russia. 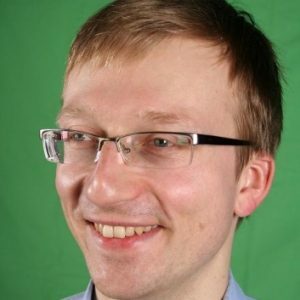 Founder of SD Data Laboratory for Innovation Development; prior to that - Head of R&D team at EMC2 Skolkovo. SD Data is a data-based startup working in the field of artificial intelligence for virtual assistants and bioinformatics. Mr. Suvorov has a vast experience in working with big data, including sensitive data, as a senior executive both in a large corporation and in a small startup. He will talk about his vision of business risks and benefits of sharing data with researchers. Chair Professor of Computational Social Science and Director of Center for Communication Research and Web Mining Lab at City university of Hong Kong. 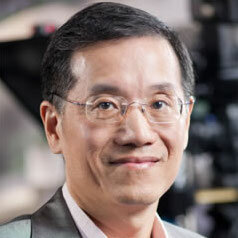 Professor Zhu is one of the signatories of the open letter entitled “Facebook shuts the gate after the horse has bolted, and hurts real research in the process”. This letter criticizes the new Facebook initiative to change researchers’ access its data from open APIs to an expert-review process for failure to provide sufficient support for transparent and independent scientific research. Professor at the Department of Computer Science, KU Leuven, Belgium. Prof. Berendt has led research that involved extracting data from Facebook with the purpose of helping users to better protect their privacy, and she has investigated the implications of personality tracking on privacy and societal fairness. Currently, she also studies links between AI and diversity and misinformation in news media. She will reflect on lessons learned for data access from these different but complementary perspectives. You have to bring your poster printed out on A1 format. We will provide the equipment to hang up your poster. Your poster should tell something about your current research and scientific interests. The main idea is for all summer school attendees to get to know each other both personally and in terms of scientific orientation. Poster session will be held during two days. Posters should be formatted into A1 sheet (841×594 mm). In general, posters combine textual and graphical representation of your work. The idea is to explain in easy-accessible way your results to the audience. During the poster session time you are expected to stay close to your poster to address questions and explain in a verbal way your ideas to other participants. Established in early 1990s by a team of reformist academics, Higher School of Economics (HSE) has now become the leading Russia’s university in the sphere of social sciences and humanities. It is also rapidly developing in mathematics and computer science. In 2017, it was ranked number 382 in QS global ranking and included into QS “Top 50 under 50” – a rating for young Universities. According to QS subject rankings, HSE University is among Top 100 in Economics & Econometrics, Top 150 in Accounting and Finance, Top 200 in Business and Management studies. HSE St.Petersburg campus is particularly strong in computational social science and digital humanities. It offers an MA degree in big data analysis in business & society	and a BA degree in sociology &	social informatics. The campus has extensive experience in organizing middle-size international academic events, such as BRICS Global Business & Innovation Conference, Congress of Comparative Economics and Education & Global Cities. Laboratory for Internet Studies (LINIS) at HSE focuses on interdisciplinary internet research with the extensive use of big data and computational methods. Established only five years ago, the lab boasts of multiple publications in top journals of the field, including Internet Research, Social Media and Society, International Journal of Communication, Journal of Information Science, Policy & Internet, American Behavioral Scientist and others. During these five years, LINIS has also hosted two international summer schools (Websci’17 and RUSSIR’15), organized two international conferences on social media and co-organized two more summer schools on network analysis. Cut-off registration: July 24, 2018. This means that at least one paper author should register before July 24, 2018 for the paper to be published. You can register later (between July 24 and September 10, 2018) but without publication and with higher fee. Normal registration fee: $400 (between July 24 and September 10, 2018). No discounts or 1-day passes available at this stage. All fees include the lunches and the welcome party, except the 1-day fee that includes the lunch only. Fees for social and cultural events will be announced later. Papers eligible for student registration discount should have a student as the first author and be presented by this student in person at the conference. Applicants willing to be considered for student discount should choose “student paper” option during registration in EasyChair and submit a photocopy of any document confirming their student status	(in English or in Russian) shortly after	the paper submission via the conference E-mail. The notification of eligibility for student discount will be provided together with the notification of acceptance. Only applicants who have provided obviously invalid documents can be denied the discount. Papers whose authors have paid a reduced fee without providing any documents will be rejected. Additionally, three best applicants from Russia will be given a 30% discount sponsored by HSE. This discount will be given to individuals holding Russian citizenship who are (a)	full-time researchers or teachers at Russian universities or non-for-profit research organizations	or (b) PhD students at Russian universities or research organizations. Applicants willing to be considered for this discount should choose “Russian paper” option during registration in EasyChair and submit a photocopy of any document confirming their citizenship and employment / PhD programme enrollment (in Russian) shortly after	the paper submission via the conference E-mail. The notification of eligibility for this discount will be provided together with the notification of acceptance. Papers whose authors have paid a reduced fee without providing any documents will be rejected. This is the preferred method of payment. All online transactions are done in Russian Rubles (RUB, ₽) only. The legislation of the Russian Federation and HSE University rules require that all online payments by both Russian and international participants should be made in the national currency – Russian Rubles (RUB, ₽). Registration fees in Russian Rubles have been signed off by members of Program Committee and calculated with the reference to the 3-month average U.S. Dollar exchange rate of the Central Bank of the Russian Federation. All fees for the conference registration can be paid by card online clear of all bank charges. To complete your registration, please click. All fees for the conference registration can be paid by bank transfer clear of all transfer charges*. Please ensure that the bank transfer form contains the delegate’s full name and the Social Informatics 2018 as the title of the event. Grounds and procedure for bank transfers are described in the offer. BEN, SHA, OUR are codes in a SWIFT instruction, at field "Details of Charges". The OUR instruction means you pay all transfer charges. We receive all your payment. SHA (shared) means you only pay your bank's outgoing transfer charge. We receive your payment minus the correspondent (intermediary) bank charges. BEN (beneficiary) means you do not pay any charge. We receive your payment minus all transfer charges. In order to enter Russia most foreign nationals require a Russian Federation visa. It can take time for a visa to be issued and so it is important that the application process is begun as early as possible, but not earlier than 3 months prior an expected date of the visit. Visas are issued by the Embassies or Consulates of the Russian Federation. To find your nearest Russian Embassy or Consulate, please visit russianembassy.net. Not all foreign nationals will require a visa to enter Russia. Get familiar with the list of countries for which there is no visa requirement. Please be aware that in such cases where there is no requirement for a visa to enter the country, there may nevertheless be restrictions on the duration of your stay. You are advised to contact your nearest Russian Embassy or Consulate in order to ascertain the exact requirements for your particular situation. Make sure that your Passport is valid for at least 6 months from the planned expiry date of the visa you intend to obtain. If a letter of invitation is needed for the visa application, we can provide a scan of the invitation letter upon request. The visa invitation letter for most foreign nationals is issued by the Migration Service within 30 days after the application, so please make sure to take care about it in advance. The invitation letter for the EU-citizens (exept the UK and Ireland) are issued within 1 week after the application. Letter of invitation can only cover the official dates of the conference ±1-2 days. Any travel requirements outside of the conference dates must be explained to the embassy in your visa application. To get the invitation letter, please fiil the form. If there are any questions, feel free to write us: socinfo2018@gmail.com. Please check at the Russian embassy if you are required to provide an original of the visa invitation letter. It is always better to ask the Russian consulate first whether they accept copies of invitations or only originals and to specify it when applying for an invitation to facilitate processing. Apply for a Russian Visa at a nearest Russian Embassy or Consulate (find your nearest embassy or consulate on the website). You are supposed to apply for Humanitarian visa, a type "Research-Scienfitic Visa" unless other is mentioned by the Organizing Committee. If you live in a country other than your country of origin, please note that (subject to your home country) you might be not allowed to apply for the visa in the country of your residence, or additional application requirements may apply (e.g. you might be asked to provide notary translation of your residence permit in the country of application). Please check with the Russian Embassy in the country of application. Step 4: Coming to the event! St. Petersburg is the final destination of a web of intercity and suburban railways served by five different railway terminals (Baltiysky, Finlyandsky, Ladozhsky, Moskovsky, and Vitebsky). Each terminal is connected with a metro station. See train timetables. St. Petersburg is served by the Pulkovo International Airport. From the Pulkovo Airport terminal the city bus 13 goes to the "Moskovskaya" metro station. The bus goes every 15-20 minutes from 5.40 a.m. till 0.30 a.m The trip takes 20-25 minutes. The price is about 35₽. The shuttle buses K-3, K-113, K-213 also go from the Pulkovo 2 terminal to the "Moskovskaya" metro station. The price is 45₽. We recommend you NOT to accept the offers from taxi drivers in the arrival hall or outside the airport. These taxi are safe but unreasonably expensive. You can order a taxi from the following services that are on average twice as cheap as the above. Народное такси (Narodnoe Taxi): +7 (812) 401-11-11. Taxovichkoff: +7 (812) 333-00-00. All workshops will be held at 123 Kanal Griboyedova Emb, St. Petersburg. This is a newly restored building in the heart of St.Petersburg, right in front of magnificent St. Nicolas Cathedral that stands at the confluence of two beautiful channels. To get there, take metro to the Sadovaya (Садовая) or Spasskaya (Спасская) or Sennaya Ploshchad (Сенная площадь) Stations. Then ride a bus (49, 50 or 181), share taxi (7, 195, 212) or walk along Sadovaya St. till the bridge for 10-15 minutes. Cross the bridge and turn right. Conference will take place in the northern building of HSE – St.Petersburg at 3 Kantemirovskaya street. This is a newly restored building with all necessary facilities, such as quick wi-fi and large well-equipped conference halls. The building is situated in only three metro stops from the city center. To get there, view transportation information. The free access is granted until end of October 2018 via the official SocInfo conference website. We are happy to announce our partnership with Russian Foundation for Basic Research! RFBR supported SocInfo with a grant, which will be used to create better conference for computational social scientists. we are happy to announce the list of works accepted to SocInfo 2018. Social Informatics paper submission deadline has been extended to May 20 24:00 Hawaii time. Since this is likely to shift notification of acceptance deadline, applicants are required to submit abstracts by May 13, so that paper bidding could start right after that and the notification delay could be minimized. Note that camera ready deadline will NOT be extended. Analysis of Multiplex Social Networks with R by Matteo Magnani, InfoLab, Uppsala University and Luca Rossi, Data Science & Society Lab, IT University of Copenhagen. Topic Modeling in Practice. Rules of Thumb for Mining Topics with TopicMiner Software. Sergei Koltcov, Laboratory for Internet Studies, Higher School of Economics. As a token of appreciation of the longstanding, successful cooperation Springer sponsor SocInfo 2018 by providing an amount of €1,000 (one thousand euros) as a Best Paper Award!